As the future unfolds before us, it seems people are getting busier, more distracted, and less connected to the physical and spiritual world. This can be especially problematic for our relationships, as love is something that just does not magically exist on its own. Love must be cultured, tended, and cared for as if it were a special garden unlike any other. Whether you desire to foster, encourage remembrance, or express gratitude for the love you feel toward the known and unknown in your life, it can be done through the practice of mindfulness and crafting. Crafting Love is filled with thematic chapters meant to inspire your own journey in your expression of love, whether you build an “I Love You…” notebook for your partner, Anytime Valentines for your friends and mentors, a Conversation Starter Table Cloth for your family, Portable Place Shrines for natural places and animals, an “I Am” Affirmation Mandala for yourself, or a Rhythm Painting for the Divine. 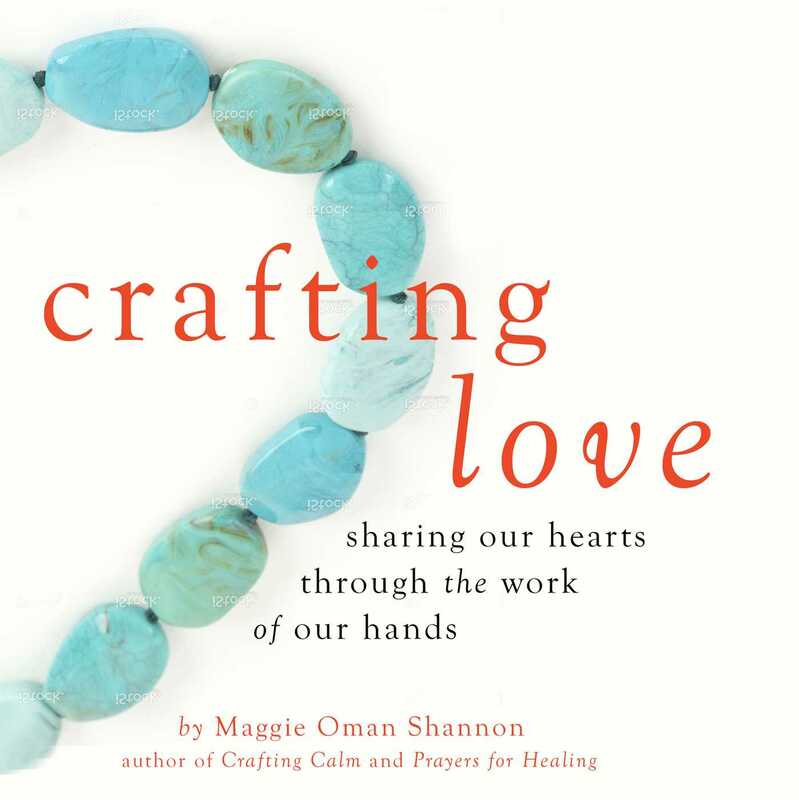 With the help of a few uplifting friends along the way, Maggie Oman Shannon will help launch your exploration for your love of materials, love of the process, and love of everything and everyone around you through creating transcendent, one-of-a-kind projects with your own hands and heart.